We are a mature and friendly Counter-Strike Source clan which formed in January 2006. We played in the Enemy Down ladders, back in the day but our main focus is our Public Servers, Community and Regular players, and before you ask, yes, we are mostly middle aged!  We have a 36 man Public CSS server with no AWP or Auto Snipers allowed with a good selection of maps. Server has very good admins and some great regulars, the server is busy every night due to the way in which it is run and the fact that any disruptive players are asked to leave. We don’t allow swearing or personal abuse on our servers and because of this, our clan members and regulars are comfortable letting their children play here. The Public server runs with Zblock and HlstatsX installed. Feel free to come and join us on our server or in Teamspeak anytime and don’t forget to register on our forums so we can get to know you better. Finally, watch out for Googy, he’s the oldest best player on here!